A number of elderly residents from the local area were invited to the Royal Opera House for a performance of La traviata last week. The morning was the result of a scheme in conjunction with Contact the Elderly (who welcome people over 75) and The Abbey Centre. Both of these groups were set up to help lonely people meet each other, have some respite from being carers or just to escape the house. Getting settled with a sandwich I was instantly welcomed into the room where groups were already chatting over lunch in the Crush Room before the show. Here I met Maureen and Louise who were very excited about seeing La traviata and had not been to the Royal Opera House before. I asked if they had seen much theatre and they replied only at the O2, which they did enjoy; the only dampner being that their bags were searched and three cans of gin and tonic discovered! Instead of throwing them away (a great waste, they assured me) they left the queue and went 'round the back' to dispose of them. 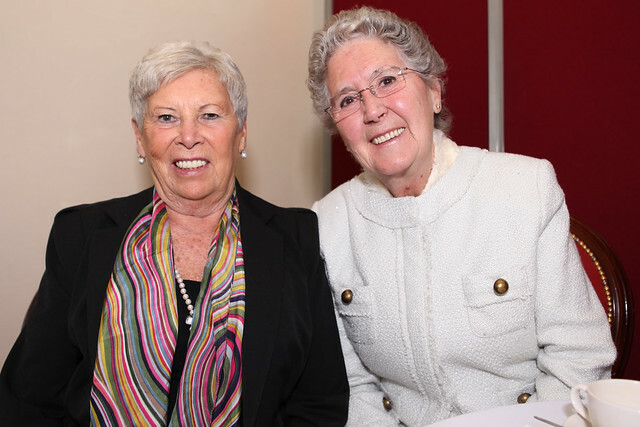 When Maureen and Louise are not enjoying a tipple they are both full-time carers for their husbands. "This is a great treat and for us and gives us a well-earned break from our daily routine" Louise told me. Other guests included a gentleman, Giri Raisilghaney, who had not been here since 1966. Another gentleman had last visited the Opera House during World War II when he came here (for one of the now legendary) dances. Special memories of Joan Sutherland, currently the focus of the ROH Collections exhibition were also evident with one of the attendees reminiscing of seeing Joan Sutherland perform here in 1980, remarking that this was a '...very special day’ for them. I could have listened all afternoon to the fascinating stories but soon it was time for the audience to assemble for the show (which - I am pleased to say - seemed to have been enjoyed by all!). I'm looking forward to meeting more people from these communities as this event will be repeated in the next few months with a ballet performance and an appearance from the Artists of The Royal Ballet. You may have come to the event or would you like to come in the future? Let us know your thoughts. Not only did my sister & her friend Louise have bags searched at the O2, they also had them searched in Marks & Spencers , seems to be a bit of a pattern emerging here don't you think?. Gordon & Schweppes have a lot to answer for !!!! !